Chris Chavarria had 13 kills, 14 assists and five aces to help host Chaparral’s boys volleyball team rally for an 18-25, 19-25, 25-19, 25-15, 15-10 win over Sunrise Mountain on Tuesday. Robert McGregor had 10 kills, 16 assists and seven aces, and Iopu Tauli’ili had three kills and eight aces for the Cowboys. Carlos Chavez had seven kills for the Miners. Sky Pointe 3, Boulder City 1 — At Sky Pointe, Jaegen Driscoll had 23 kills and nine blocks to lead Sky Pointe to a 24-26, 25-21, 25-20, 26-24 victory. Danny Cox added seven kills, and Brayden Dorsey had 28 assists for Sky Pointe. Preston Jorgensen led Boulder City with 24 kills. Karson Bailey added 19 kills, and Kannon Rose had 20 digs for Boulder City. Mojave 3, Western 0 — At Mojave, T.J. Blanchard-Davis had 12 kills and three aces to lead the Rattlers to a 25-18, 25-12, 25-14 win over the Warriors. Taveon Alexander added eight kills, and Julio Alfaro had five kills and three blocks for Mojave. Angel Sanchez paced Western with six kills and three blocks. Centennial 3, Las Vegas 0 — At Las Vegas, Andrew Shiheiber had 35 assists and two aces to lead the Bulldogs over the Wildcats, 25-16, 28-26, 25-17. Justin Madsen recorded 11 kills and five digs for Centennial, and Austin Anderson had 10 kills and six digs for the Bulldogs. Kevin Switzer had 21 assists and two aces for Las Vegas. Jaelin Gray added eight kills and four blocks, and Leander Gates had seven kills and six digs for the Wildcats. Arbor View 3, Canyon Springs 0 — At Canyon Springs, Max Senior had 35 assists and three aces as the Aggies defeated the Pioneers, 25-16, 25-13, 25-9. 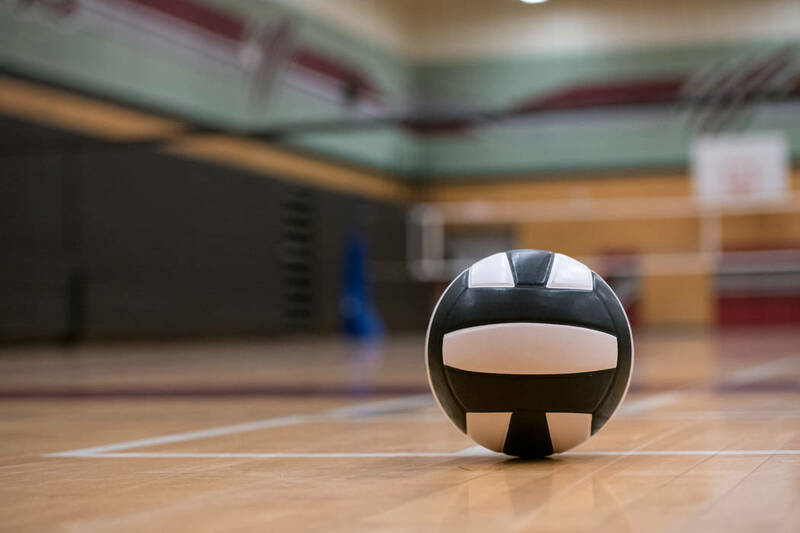 Tyler Worthington recorded 23 digs and three aces, and Jaylen Harris had 11 kills and 14 digs for Arbor View, which got 14 kills from Gideon Belnap. Rancho 3, Desert Pines 0 — At Rancho, Jhonathen Reyes supplied 19 assists and four aces to lead the Rams to a 25-9, 25-14, 25-12 sweep of the Jaguars. Adlai Rodriguez added 13 kills for Rancho. Shadow Ridge 3, Legacy 0 — At Shadow Ridge, Zach McArthur had six kills, four aces and eight digs as the Mustangs took down the Longhorns, 25-22, 25-18, 25-17. Tyson Mott recorded 10 kills and four digs for Shadow Ridge, and Jordan Kirk had five kills, three aces and five blocks for the Mustangs. Nathan Johnson had 16 digs for Legacy. Garrett Linnell had 10 kills, and David Yancy had 12 assists and five digs for the Longhorns. Cimarron-Memorial 3, Eldorado 0 — At Cimarron, Kilmor Amor had four kills, 29 assists and nine aces to help the Spartans take down the Sundevils, 25-9, 25-14, 25-10. Maximo Torres had nine kills for Cimarron. Christopher Garcia led Eldorado wtih six digs. Palo Verde 3, Bonanza 0 — At Bonanza, Cooper Jarman had 21 assists as the Panthers swept the Bengals, 25-9, 25-15, 25-18. Jared Brady had seven kills, and teammates Evan Hartshorn and Scott Solan each supplied six kills for Palo Verde. Anthany Lemus led Bonanza with 12 assists, and Rayden McLaughlin had five digs for the Bengals. Del Sol 3, Valley 0 — At Valley, the Dragons swept the Vikings, 25-17, 25-15, 25-22. Miguel Torres-Barragan had seven digs, and Efran Zepeda supplied four kills and three digs to pace Valley. American Prep 3, Somerset-Losee 0 — At Somerset-Losee, the Eagles defeated the Lions, 25-19, 25-18, 25-21. Chris Dulalia had eight kills and two digs, and Eduardo Lopez had 10 assists for Somerset-Losee.